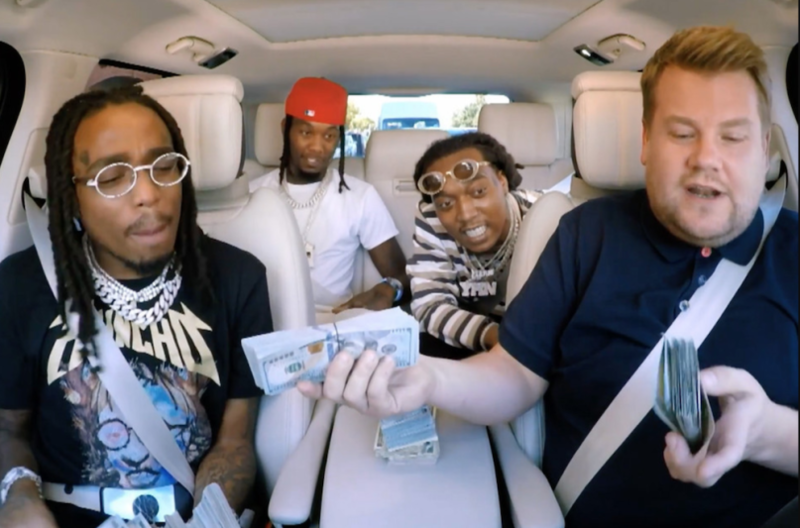 About a week or so ago, James Corden‘s very-popular Carpool Karaoke series featured Atlanta trio Migos as the latest guests, and it was certainly entertaining. In addition to some high-end shopping and renditions of “walk It Talk It” and “Bad and Boujee,” Offset, Quavo and Takeoff surprised viewers by joining along with Corden for a rendition of Whitney Houston‘s “I Wanna Dance With Somebody.” One of Corden’s best episodes ever. SIDEBAR: Offset is on the way….